DishTales.com | Peroni opens 1st Pop-Up Risotteria in the World + GIVEAWAY! Home » Previously on Dishtales.com » Dishtales Adventures » Peroni opens 1st Pop-Up Risotteria in the World + GIVEAWAY! Italians do eat better, says a widely trending hashtag that pretty much sums up that Italian cuisine rules the world. Peroni naturally agrees with this slogan and to celebrate one of my favorite Italian dishes they are opening a pop-up Michelin star risotto restaurant in Amsterdam-Noord. So which Michelin star chef is showing his notorious risotto skills? 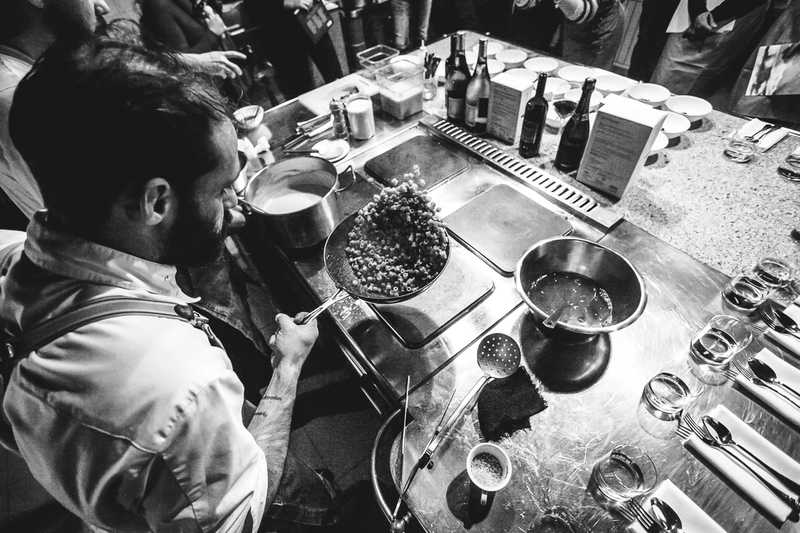 Not one, but two chefs are invited to cook for the first time ever in the Netherlands: Manuel and Christian Costardi! 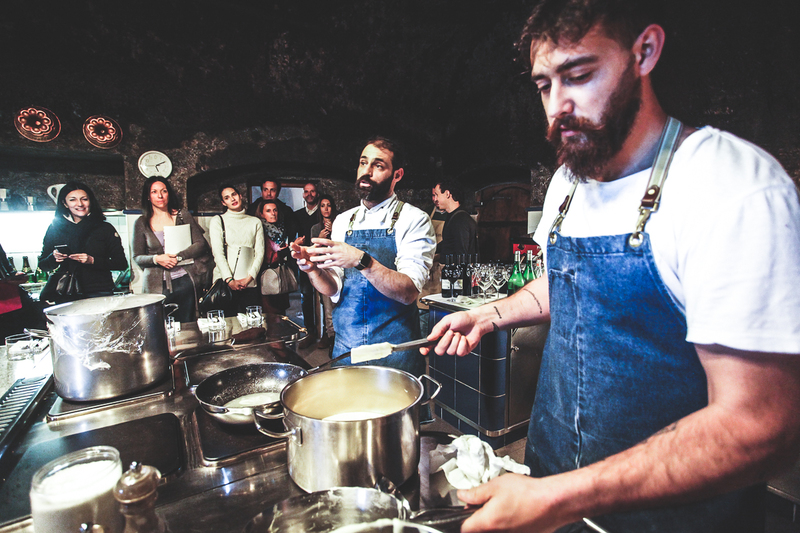 After they took over their family hotel in the city of Vercetti, in the Piëmont region of Italy, the Costardi brothers dedicated all their time into perfecting their risotto cooking skills. Their rebellious methods and incredible passion eventually led to a Michelin Star. 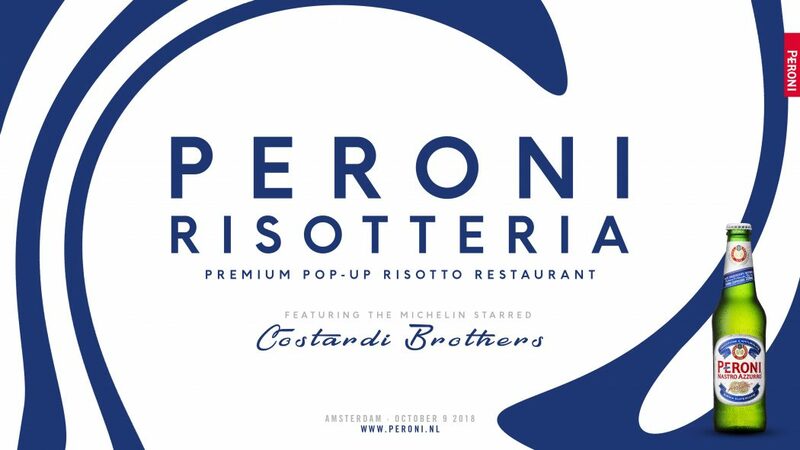 Peroni has now invited the brothers to show their culinary magic in Amsterdam for one night only with incredible food made by the Costardi brothers and some fabulous italo-disco. Keep reading as I have a very special surprise for you all!!! I have the sincere privilege to giveaway a table for 2 to join on October 9th 2018 at Hangar, Amsterdam. If you visit my Facebook page you will see how to join the giveaway! So to the winners: see you at the Peroni Risotteria! 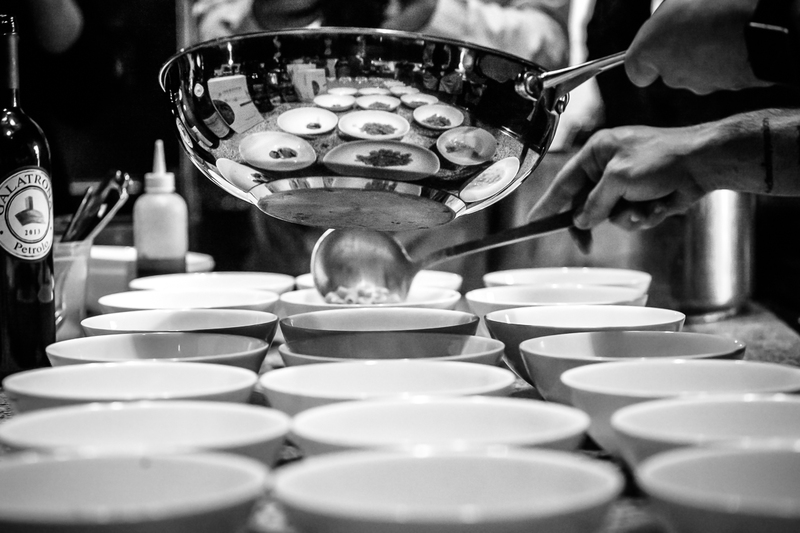 Follow Dishtales on Facebook and Instagram for up-to-date foodie adventures!